My name is Tucker. 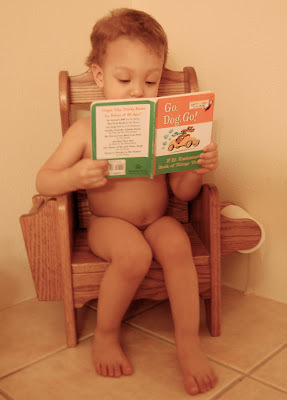 I love to sit on the potty and read (I think Daddy taught me that). But I never actually use the potty. This is so cute. Tucker-man, Grandma loves you. Tell your mommy I need more pics. He is Just to DARN cute Erin! this picture better be displayed at his wedding or high school grad party or something...I love it! Teagan loves that book, she says " go go go."